Charlene in front of the first Walmart store. Today we drove to Bentonville and went through the Walmart Museum. We really enjoyed it! 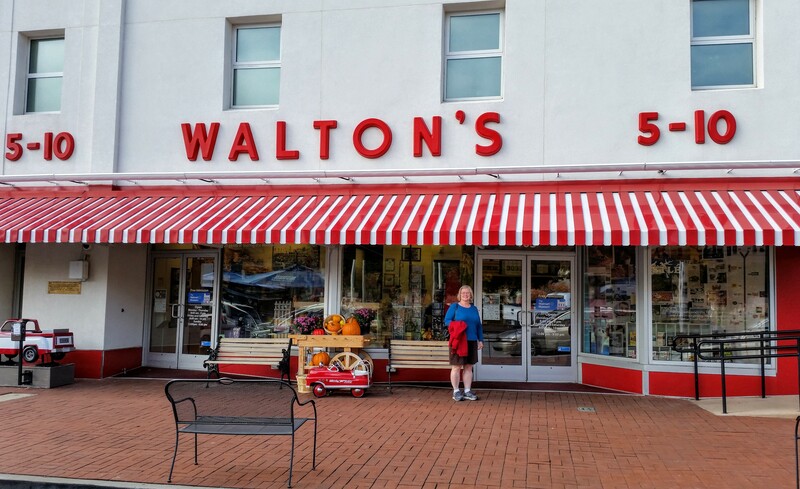 It was quite amazing to see the stores that Sam Walton started and how fast Walmart expanded. It was impressive to see the Presidential Medal of Freedom that he received. 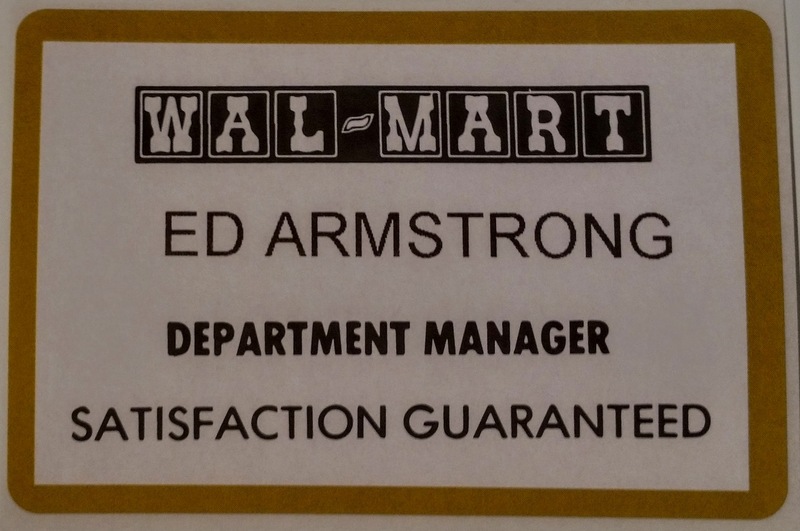 Having grown up with a parents that had small businesses, it was truly shocking to see how fast Walmart grew. The miracle from Arkansas has had a worldwide impact. Not too many people can claim that achievement. 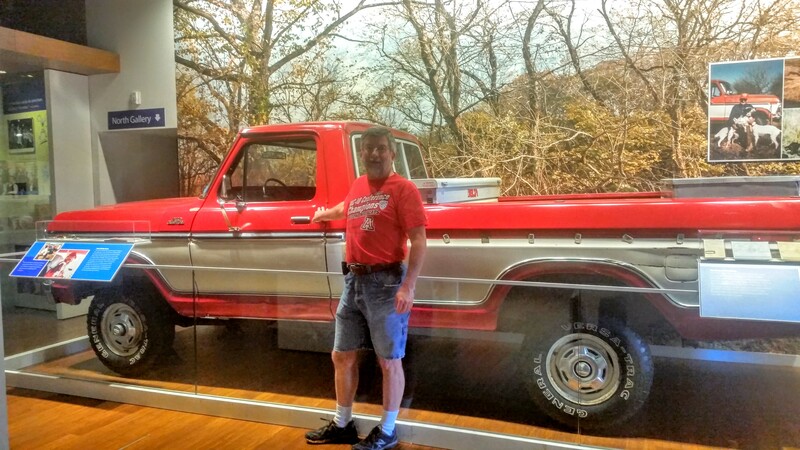 I had fun seeing Sam Walton’s famous old truck that he drove around despite being quite wealthy. I liked his truck. Sam Walton’s old truck he used to drive everywhere. 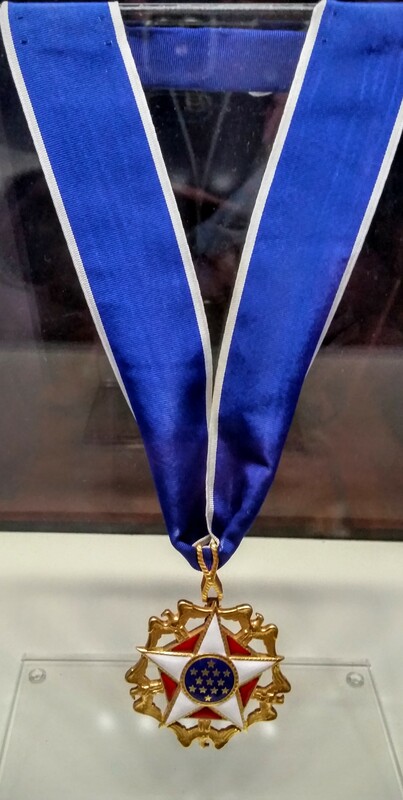 Presidential Medal of Freedom given to Sam Walton. 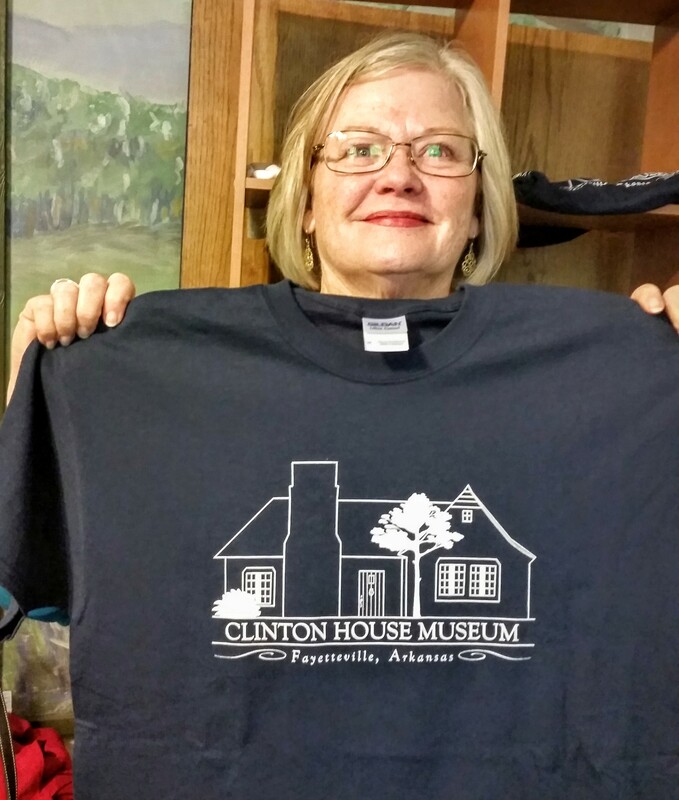 After going through the Walmart Museum, we drove back to Fayetteville and went to the Clinton House. Please do not laugh at us. 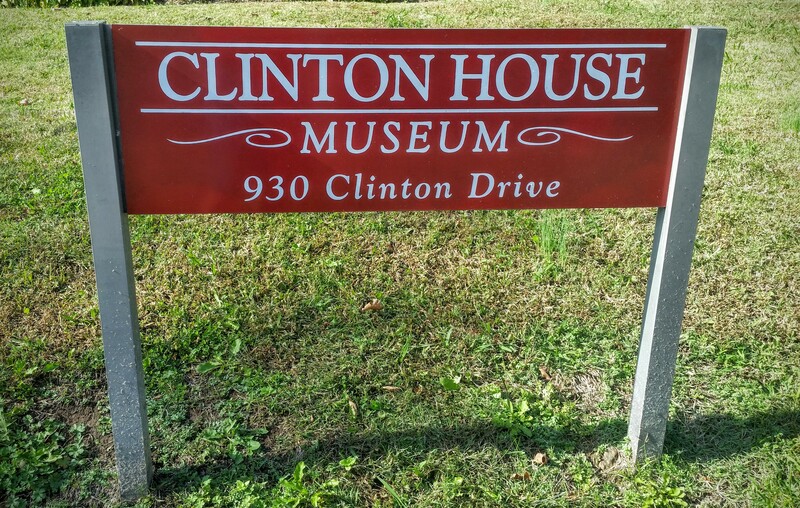 Bill and Hillary were both faculty members at the University of Arkansas in the mid-70s and we toured the house where they were married and lived as faculty members. 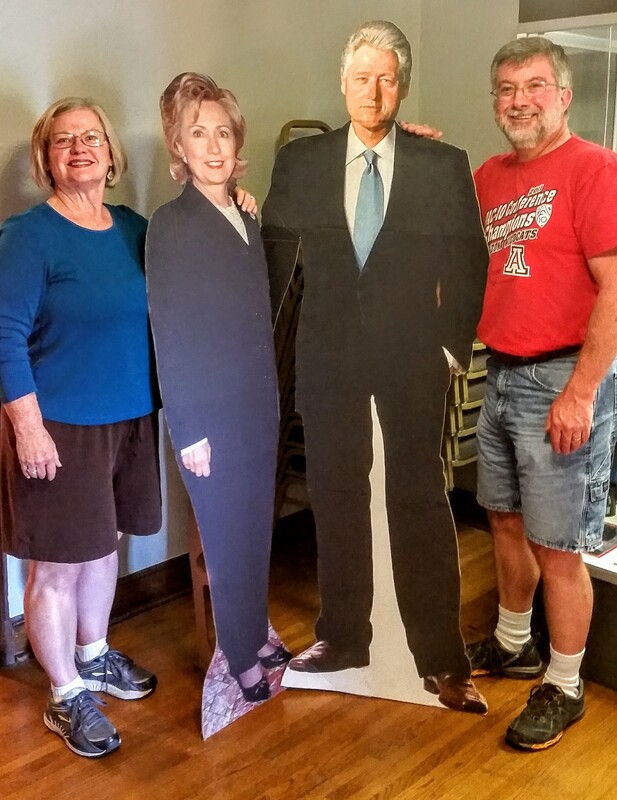 How many people can say they have been in Bill and Hillary’s kitchen? Or bathroom? Or bedroom? 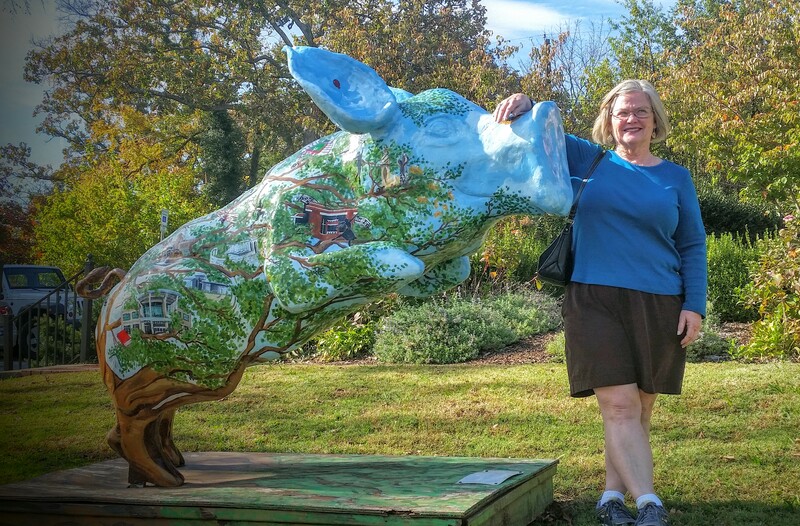 The hog statue at the Clinton House. Penguin Ed’s is well-known for their barbecue. Today, we started the day enjoying a pancake breakfast at our RV park in Branson. Then, we packed up the motorhome and headed south to Arkansas. We were driving through the Ozark Mountains, so we were going up and down and winding all around. We stopped in Fayetteville and got set up in our new RV park. 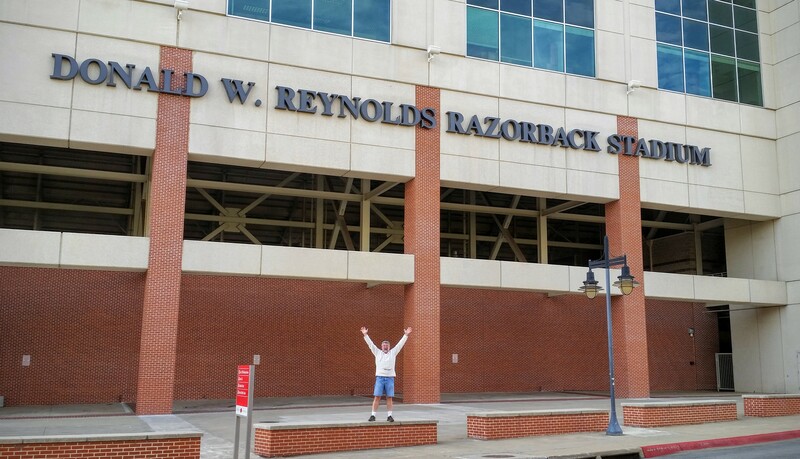 SEC football is fantastic, although it would be hard for me to root for Arkansas. The University of Arkansas had a football game yesterday with Auburn that went into 4 overtimes! 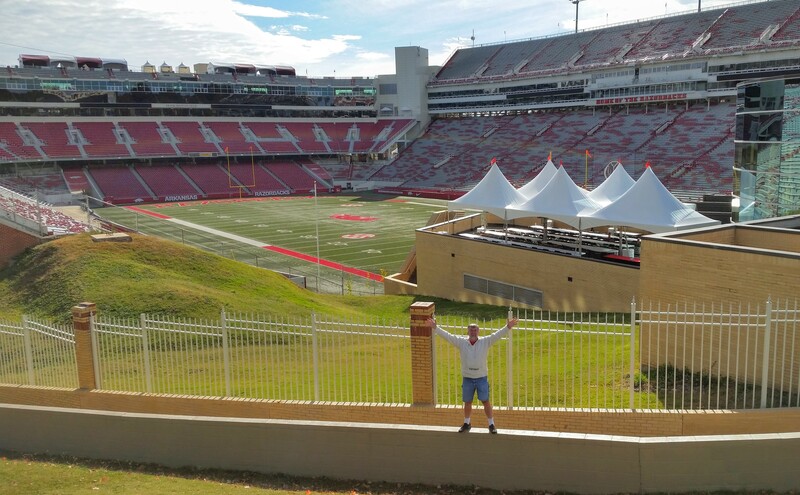 Arkansas won the game, but the RV park was a bit slow to empty out today as it was filled with Razorback fans celebrating their win. The park owner told us to be sure to arrive after noon so we would have a place to park. 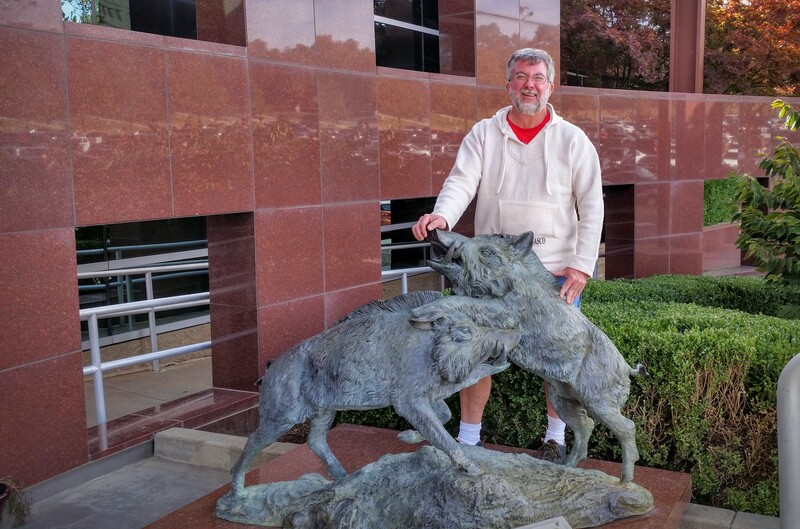 The razorback statue is in many, many photos! 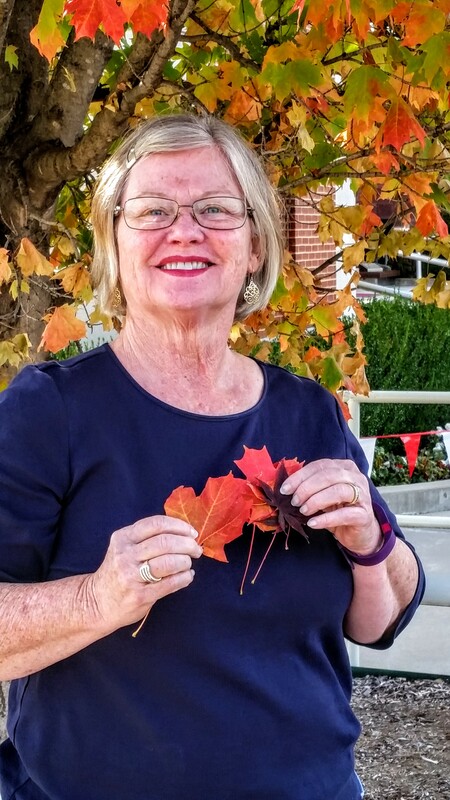 The leaves have changed colors all over campus. After connecting the coach to electric and water, we headed out to find a place to eat. 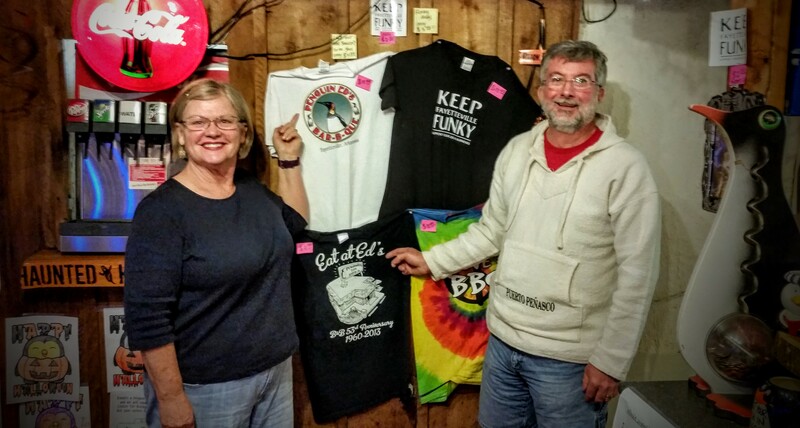 The RV park owner recommended a near-by barbeque restaurant called Penguin Ed’s. The Sunday special was a bowl mixture of Fritos, beans, pulled pork, and coleslaw. It sounded a little weird, but we went for the new Arkansas cultural experience and ordered the special. I enjoyed it, but Charlene had a little more trouble eating it. She ate the pork, but did not really care for the other ingredients. Oh well, we tried it. 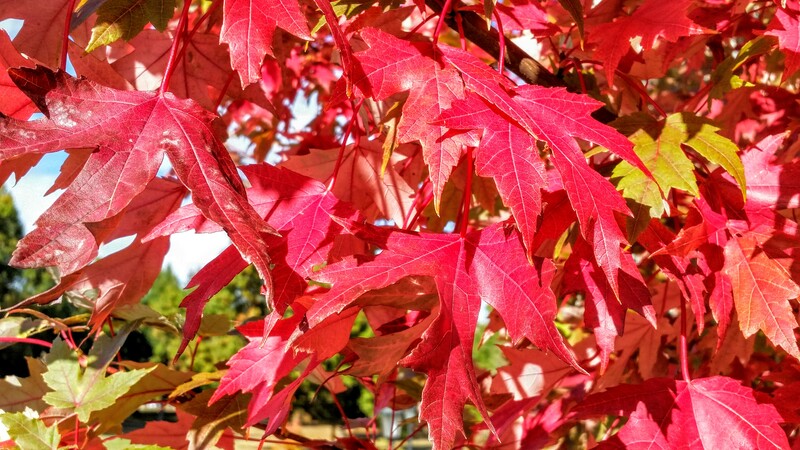 The red leaves are impressive! 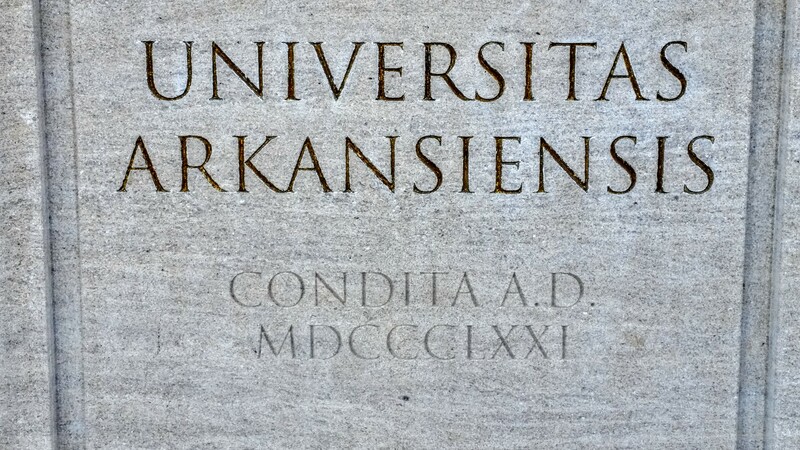 We next went to the University of Arkansas campus. I remember a number of years ago when Arkansas beat Arizona in basketball during the NCAA tournament. President Bill Clinton was rooting for Arkansas, so I have not necessarily been in love with the University of Arkansas since that game. We found their football stadium and walked all around campus. 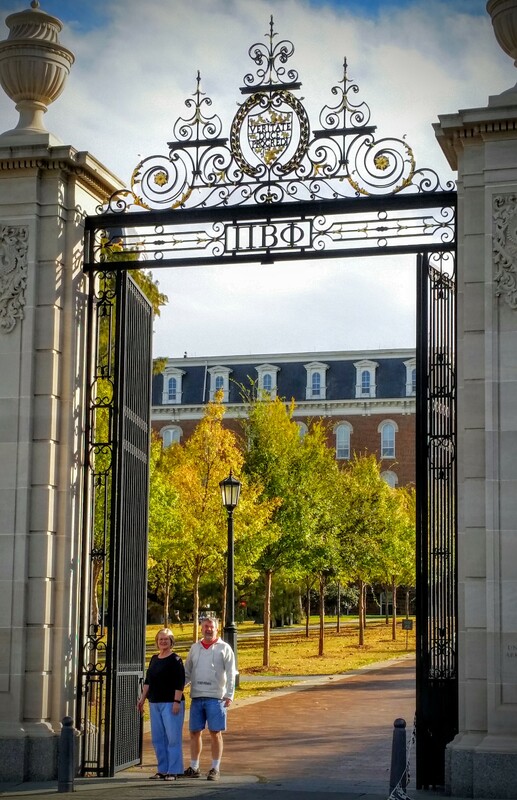 We walked around their Old Main building and found their gate to the university. 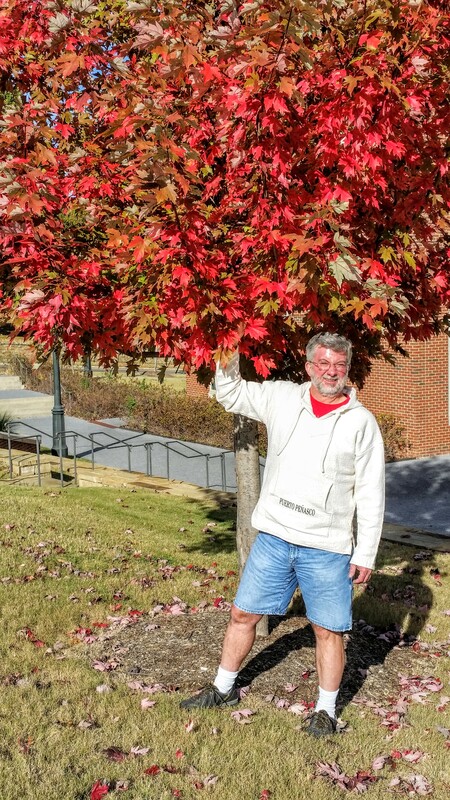 There were beautiful trees changing color all over campus. This is the famous gate for the campus. The fall leaves are so beautiful!